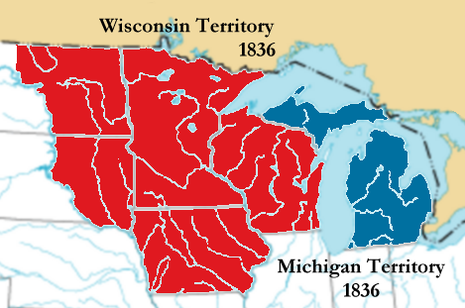 The second treaty of Chicago was signed by Michigan Territorial Governor George B. Porter, Thomas J. V. Owen, and William Weatherford for the United States and representatives of the "United Nation of Ojibwe, Ottawa and Potawatomi" on September 26, 1833 and proclaimed on February 21, 1835. 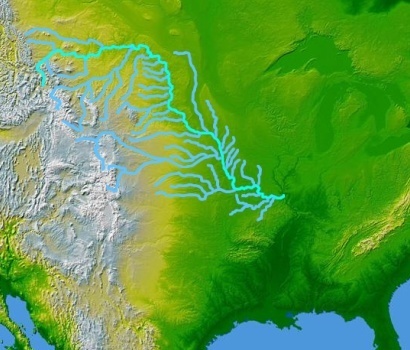 The treaty ceded all of the tribal lands to the United States west of Lake Michigan, approximately 5,000,000 acres (20,000 km²), in exchange for a reservation of equal size further to the west on the Missouri River. 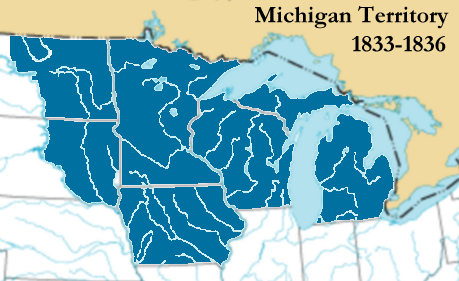 In articles supplementary to the treaty, the tribes ceded some of the specific reservations granted to them under previous treaties to lands in the Michigan Territory on the east side of Lake Michigan and south of the Grand River. The commissioners now wanted them to surrender the rest of their land in Illinois to the American government. The tribes were camped on all sides of the village of Chicago. The commissioners offered food, whiskey, and other valuables to win their favor. Governor Porter of the Michigan Territory headed the committee. He grew weary as each day passed because the Indians delayed the negotiations. However, on September 26, 1833, both parties signed the Treaty of Chicago. It stated that the Indians had three years to vacate their territory from the Rock River in Illinois to the Grand River in Michigan for a sum of $100,000. These were the last of the Indians to leave Illinois.